I'd now like to ask a few questions about the controller, perhaps the most talked about feature of Wii. Turning first to Takeda-san, the man in charge of Wii development, what were your initial thoughts when creating the controller? The Nintendo DS proved to be a major influencing factor. The concept for the DS was already floating around when we were developing the Wii controller, and had already been very well received when we came around to fixing its specifications. During development, we constantly asked ourselves how we could follow the same path as the DS. Quite obviously, we considered installing a touch panel on the controller, as many people had anticipated. We also thought of using a pointing device, like a computer's mouse or track pad. However, the thing about the Nintendo DS is that touching the screen directly is such an easy concept to understand, and indeed, this had a huge impact. I really fretted over what kind of interface to follow up the DS with. While you created a special in-house team to develop the Wii controller, you had also put together a small interface team prior to that, hadn't you? Tell us a bit about this. Well, when developing a games console, a human-machine interface isn't just a necessity, it's an intrinsic part of the whole process. So, a number of years ago I created somewhere between ten and twenty teams, each consisting of around three people. These teams were given free rein to couple a dedicated controller or peripheral with a Nintendo GameCube title, and then see whether or not the end result was marketable. This project gave rise not only to the "Donkey Konga" Bongos and the "Dancing Stage: Mario Mix" Action Pad, but to a number of ideas and designs that would find their way into the Wii Remote. Ikeda-san, you were directly responsible for the Action Pad. You’ve turned your hand to a variety of peripherals in the past. 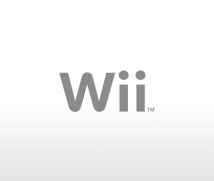 Could you tell us a little about this and your role in the Wii project? Well, many, many years ago I designed a number of games such as “Pocket Pikachu”, a mobile game that uses a pedometer, and “Kirby Tilt 'n' Tumble”, a Game Boy Color game that uses an accelerometer. After this, I remained involved in a number of interface-related projects, and was responsible for the design of the accelerometer electronics used in the Wii controller. Given your long experience with user interfaces (UI), what do you make of the Wii Remote UI? Of course, when playing a game, the nearest thing to the player is the controller. The controller should therefore be regarded as an extension of the player rather than as part of the console. I always bear in mind the importance of the fact that the player will have far more contact with the controller and UI than the console itself. What key concepts did you have in mind when you started developing the Wii controller? I felt that it should be both "Simple" and "Comfortable". I believe this is the overarching concept behind Wii. I was always aware that the controller should be usable by anyone, and that it shouldn't be seen as an enemy. Indeed, it should make you want to pick it up. Mr Takeda told us a little about the influence of the DS. Did the DS also have an influence on the way you thought about the controller? It certainly did. Personally speaking, I was very surprised when my parents expressed an interest in the DS, saying that they would like to try it out. This interest seems to have been sparked by learning about the DS in magazines and on TV shows, which convinced them that they could actually use the device thanks to the stylus. This episode brought home to me the importance of user-friendliness. I'd now like to ask a few questions to Mr Ashida. Ashida-san, you were in charge of designing the controller, as well as the console. You've a long history of developing controllers, haven't you? Yes, that's right. I've been developing them since the SNES. So, Ashida-san, what does making a controller mean to you? How does the industrial design (ID) of a console controller differ from regular ID? A game console's ID is strongly related to the application, or software, that will be used. Although I've specialised in ID since my university days, I'd never encountered ID so closely connected to software until I started here at Nintendo. With controller design in particular, you really have to be aware how your design will be used when playing a game. With Wii, however, we had our work cut out for us because it wasn't completely clear what kind of software would be created for this console. Moving on to Mr Miyamoto, although you're renowned worldwide as a game designer, you also studied ID during your university days. How did this experience help you when making the controller and console? How did it help me…? Well, because I had a background in ID, I was put in charge of all the new graduates entering Nintendo's ID section, at least for a while anyway. Perhaps this is the most important thing? So, because of this I was able to create a pecking order, or a balance of power if you will. This was vital. It really helped... (laughs) Anyway, I've always recommended that the developers we hire have a background in ID. People who are knowledgeable in this field don't just play around with objects on their monitors. They actually use their hands to create things, and this gives them a firm creative grounding, hence my recommendation. I'd say, "Take them on, even if they don't make it into ID. It'll pay off". You know, I was an ID person that didn't make it! However, a surprising number of people trained in ID then entered the company, and of course, they were all determined to work in ID! (laughs) One of them, Mr Ashida, was extremely lucky. He was one of the few who were allowed to remain in ID, just as he wished. So, because of this, Mr Ashida and I have known each other for a very long time. In fact, we've been working together since the SNES, and I've been reasoning with him, encouraging him and conspiring with him along the way. How does the way you created the Wii controller differ from controllers you created in the past? Well, back in the days of the SNES, I racked my brains to try and understand how Nintendo products should be designed. We're not a toy maker, and we're not a home-appliance maker, so what exactly is "Nintendo design"? This was a recurring theme when we were moulding the Nintendo 64 out of clay. With Wii, however, what makes the game interface was no longer the issue. Rather, we had to overcome the hurdle of how to convince users and game designers who had grown accustomed to traditional interfaces. This was an incredibly difficult hurdle. So, to put it in a rather extreme way, I teamed up with ID people to fight against the people creating the current market, or to challenge them - it was kind of like a battle, in a sense. It's not as though we were trying to pick a fight, but whenever you attempt something new, conservatism will always rear its head amongst those who have grown accustomed to the way things are now. So in a way this time, Ashida-san and I, and all the other people who designed the controller, have come to be something like "comrades in arms". You see, software people make a lot of requests, while designers see the limitations. And at the end of the day, you can't ignore the issue of cost. In this sense, I myself have made a lot of requests from a whole host of standpoints, and have experienced first-hand the conviction and challenges that have gone into making hardware in the past. With Wii, however, we were finally able to overcome the debate of whether hardware or software should come first. Indeed, I feel that Nintendo has taken the next step. ...unparalleled. After all, our previous controllers, for the NES, SNES, N64 and Nintendo GameCube, have evolved by adding features. That is to say, a unit of functionality is added and integrated into the design. With the Wii Remote however, we didn't just add, but subtracted as well, and even multiplied and divided. I believe that we've gone about developing the controller in a fundamentally different manner. 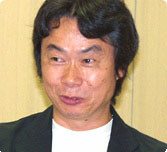 Just now, Mr Miyamoto called us "comrades". However, we received so many requests and ideas from people creating a whole variety of games that the whole process of wading through and responding to them in some form or another was really intense. In fact, we've never had so much input. You made a considerable number of mock-ups, didn't you? So many that I'd like to show them all off! (laughs). Really, there's a heck of a lot! What was the turning point in this whole process? I think it was when the overall concept of Wii began to emerge. I personally felt that the Nintendo GameCube controller was the culmination of all controllers that had come before it, and that it couldn't be improved via the traditional concept of simply adding to it. More than anything else, I felt as though the controller and I were incompatible. Having a family, the time I had to play hard games decreased, and a gap between my “creator self” and my “player self” was born. When I then came to understand the Wii concept, I felt strongly that this would be a console that I too could enjoy. More specifically, I felt that it might be time to reconsider the entire gameplay style of grasping the controller with two hands, sitting glued to the TV until morning. Of course, I'm not rejecting that intense style of play, but I did feel that taking the whole idea of grasping the controller with two hands back to the drawing board offered a glimpse of the future. I have to confess, I remember saying more than ten years ago that people who want to play Mario with one hand needn't play at all! You were always saying that here at the office, weren't you? (laughs) I mean, back then we felt that the left thumb should be glued to the d-pad! And yet, now we're releasing this kind of controller. I just want to confirm in retrospect how on earth we were able to do something so drastic. I'm sure other companies have thought of using a one-handed controller. Such devices have definitely been released by peripheral makers. But it's not so easy for a hardware maker to, in a sense, turn their back on the past and race in an entirely different direction. Why do you think we've been able to do this? ...Isn't it because we're Nintendo? To rephrase Mr Ashida's answer, Nintendo is a company where you are praised for doing something different from everyone else. In this company, when an individual wants to do something different, everyone else lends their support to help them overcome any hurdles. I think this is how we made the challenge of Wii a possibility. That's true. Wii's one-handed controller is not the great idea of a single person, but a fantastic fusion of ideas from all kinds of people. Looking back, I think that it was destined to turn out this way. We've seen that the sequence of events leading up to this moment unfolded in a truly unimaginable fashion.